I’ve had some technical difficulties with my email system. For the time being I will be off air. What better way to show someone you know what they want than with a Matthew Hunt Fishing Charter Gift Voucher. Valid for 1 year from purchase to be used on any of our charters. What a fish! Not to be confused with the similar Northern hemisphere Atlantic Bluefin Tuna, the Southern Bluefin Tuna or SBT’s are one of the best fish you will catch. Revered by fishermen around the world for a relentless fighting ability, it’s no surprise these are our most popular charters. They always sell out fast. Any time after March each year the line-peeling school fish invade the southern coastline of Australia. We port at Portland for most of the year. While the smaller fish will pester the lures, the ultimate for many fishermen is the Giant Bluefin otherwise known as ‘Barrels’. If you catch one of these, you’ll have lasting memories long into retirement. While Skipper Matt is fully qualified to venture into the deeper water on the edge of the Continental Shelf, ironically the larger fish can be caught in shallower water closer to shore. 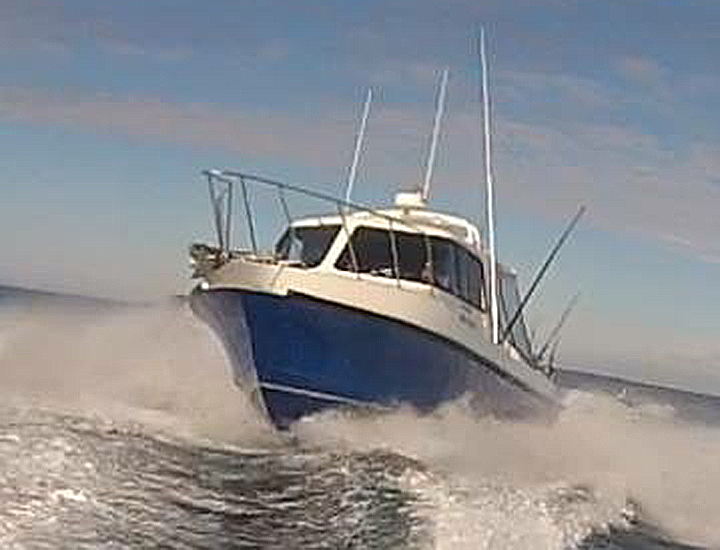 We intercept them as they chase the abundant baitfish schools all along the south coast. 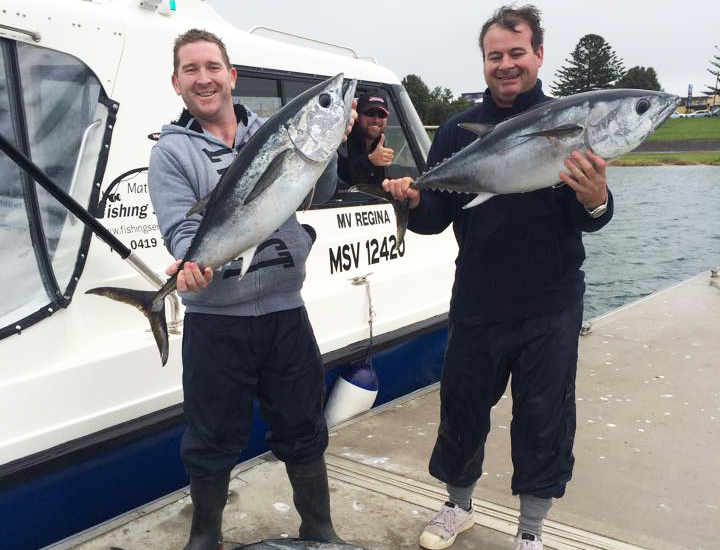 Matthew Hunt Fishing Services has not only has a purpose-built vessel for these waters, but the Skipper qualifications also. 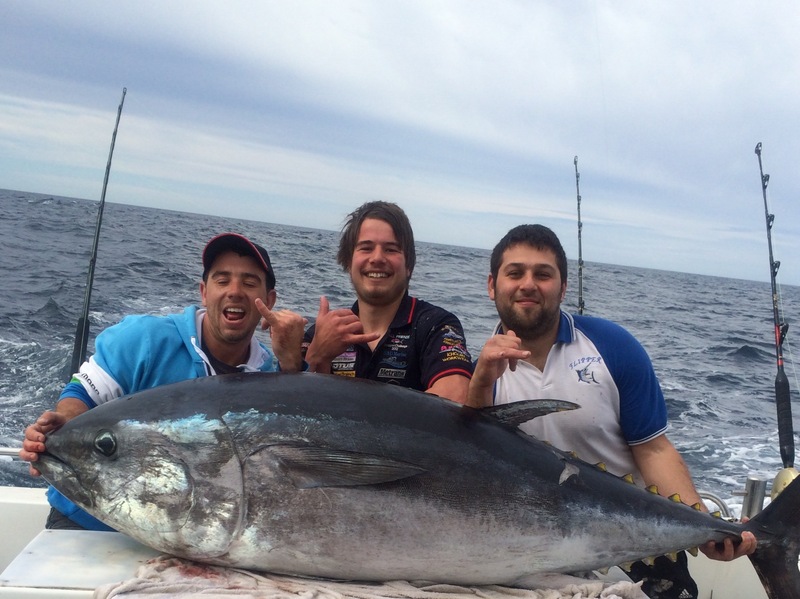 Our difference is our skills and experience so you get the most from your Tuna Fishing adventure. Early bird special $1250 for 6 persons. Sharks that can be encountered while on deepsea charters include Mako, Bronze Whaler, Hammer Head, Blue Shark, Thresher Shark, School Shark, Gummy Shark & Seven Giller. When Shark fishing, a sea anchor is used allowing for the possibility of fishing bottom lines at the same time if conditions are suitable. Bag limits & legal sizes for Mako shark apply. Skipper Matt will ensure you keep within limits. Portland has some amazing deep sea fish to offer with some magnificent table species on offer in our deepsea charters. While on this deepsea charter we will be targeting the infamous Tassie Trumpeter, Morwong, Gummy, Knife Jaw, Big Snapper & Nannygai just to name a few. 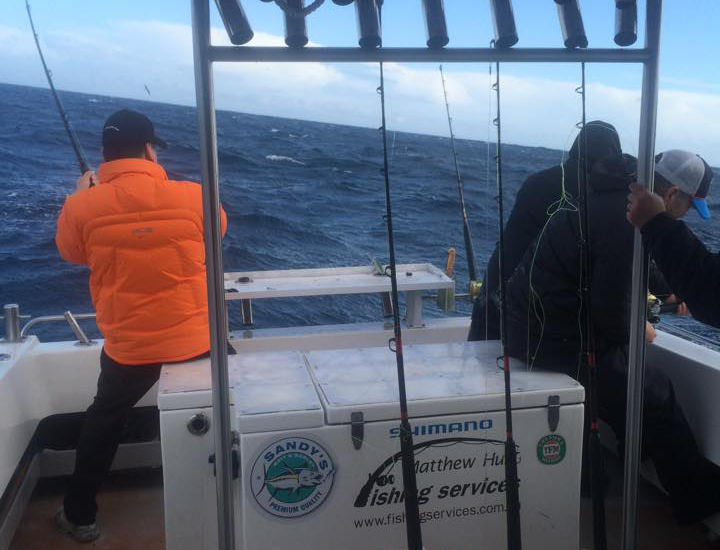 We will be fishing in waters up to 160m deep. 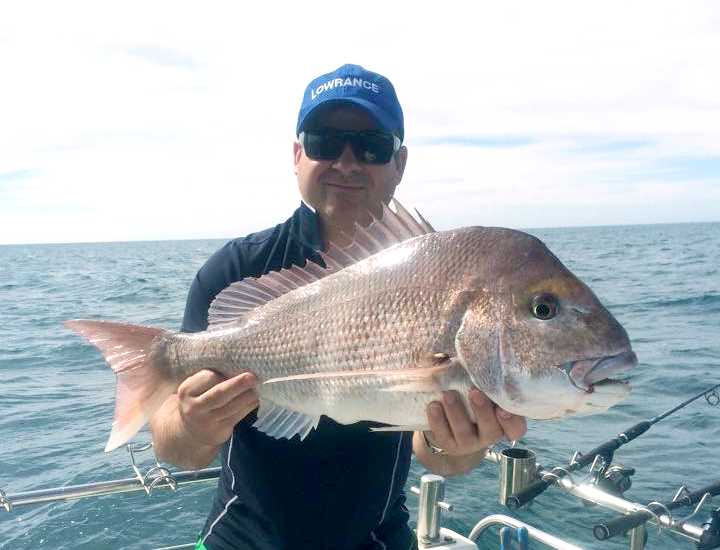 Skipper Matt is well-known and regarded as one of the most experienced Charter Operators in Victoria. If you recognise his last name, you’ll know that fishing is in his blood. He’s been fishing with his dad, Rex, all his life so he has learnt from the best in the business. When travelling out in some of the most dangerous seas in Australia it’s important that your skipper complies with all required legislation and follows best practices at all times. In his years on and off the water, Matthew Hunt has backed up his fishing knowledge with some of the highest levels of certification you can attain. Specifically this includes a Coxswain Certificate, M.E.D Grade 3, a Master Class 5 and a Skipper 3. Unless you’re a boat owner yourself, this means he is legally certified to target the large Southern Bluefin Tuna in the Southern Ocean and venture far out to sea safely in search of the best fish. 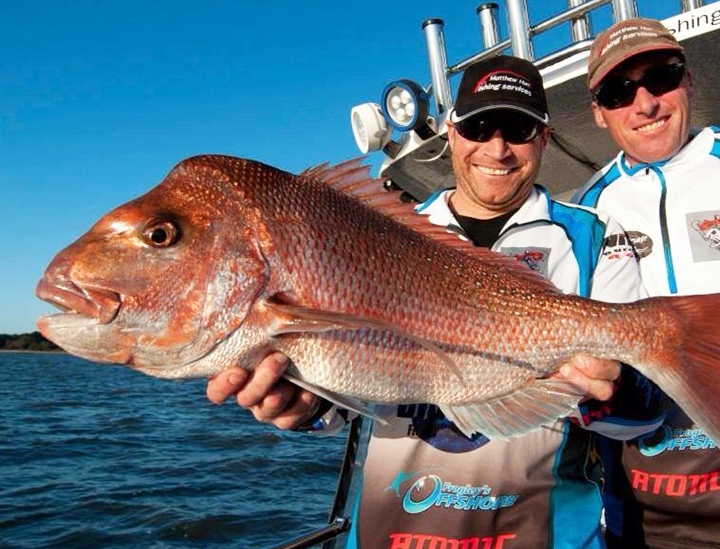 So if you want a true game fishing experience, Matthew Hunt is the skipper you can trust. For the safety of all of his charter guests, he also holds a level 2 first aid certification. Skipper Matt goes the extra mile to make sure his anglers are happy with their fishing experience. He will actively search and hunt for the fish that you came on board to catch on his boat, the MV Regina. This vessel is designed with customer comfort in mind and is perfect for both inshore and offshore charter expeditions. The MV Regina is a 9.1m Clayton Galant with an inboard Yamaha motor. 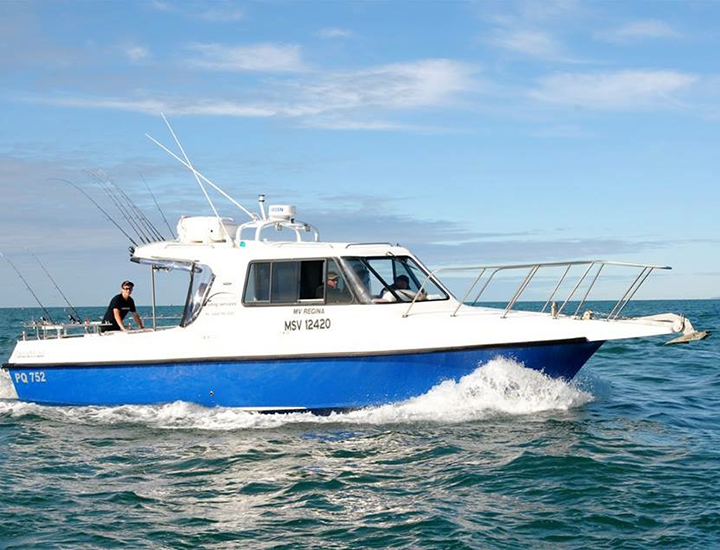 The vessel meets the 2C USL Code and is designed specifically for sport fishing in Victorian waters. It will easily accommodate groups, so if you and your friends want to spend a day or an afternoon together, this is the perfect way to do it. When you charter with Skipper Matt, you are sure to have a truly unforgettable fishing experience. You can rely on his intuition, skill and experience to select the best fishing spots for your expedition. He knows the waters like the back of his hand. Depending on which charter you choose, you will have the option to catch a wide variety of fish including mako sharks, albacore tuna, mahi mahi, swordfish, bluefin tuna, flathead, snapper and more. 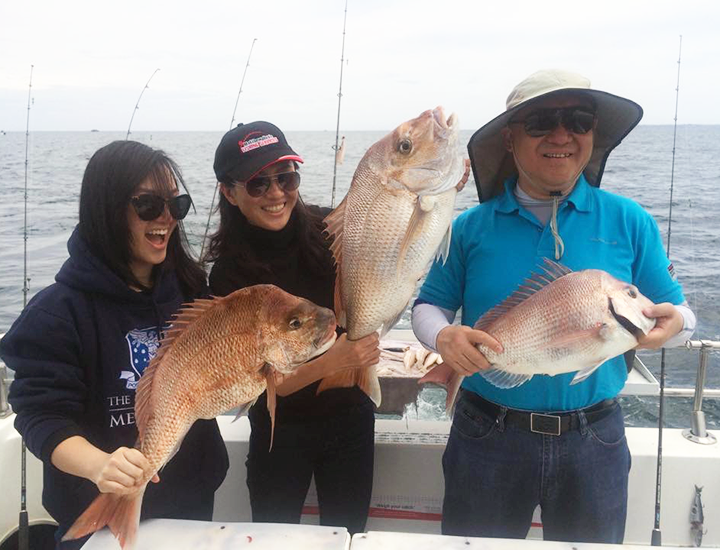 Call Matt on 0419 760 510 to book your charter fishing expedition today!